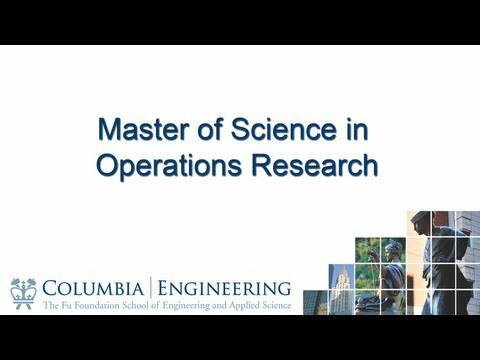 MS in Management Science and Engineering program features the Operations Consulting course, where students engage with multiple industry partners throughout their studies to solve business problems and propose innovative solutions. 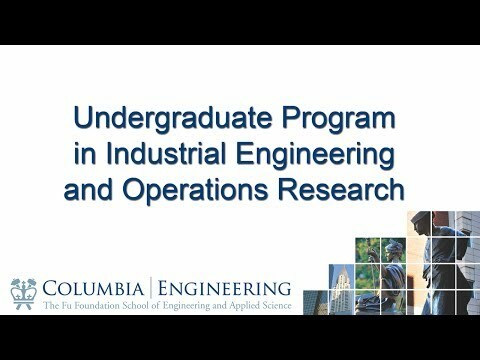 The Department of Industrial Engineering and Operations Research is home to five educational disciplines: Business Analytics, Financial Engineering, Management Science and Engineering, Operations Research, and Industrial Engineering. 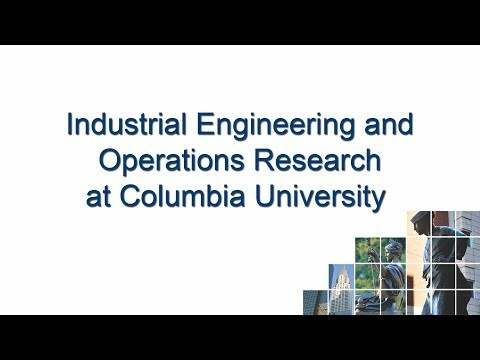 Welcome to the Department of Industrial Engineering and Operations Research. The department is the home to five disciplines: management science and engineering, financial engineering, business analytics, operations research, and industrial engineering. We offer multiple undergraduate programs and various graduate programs leading to a degree of Master of Science (MS) and Doctor of Philosophy (PhD). Seminars in conjunction with other departments are also offered. We also produce prominent research in areas like logistics, supply chain management, network algorithms, revenue management, and more. Our philosophy in education is to integrate theory and practice. We offer degree programs leading to degrees of Bachelor of Science (BS), Master of Science (MS) and Doctor of Philosophy (PhD), offering various concentrations that allow each student to pursue his or her area of interest. We also encourage our students to engage with industry partners during their studies. 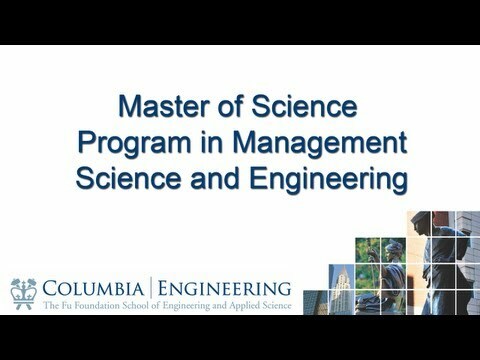 For example, our MS in Management Science and Engineering program features the Operations Consulting course, where students engage with multiple industry partners throughout their studies to solve business problems and propose innovative solutions. Learn more about our graduate admissions process. Learn more about undergraduate admissions process. The department constantly and consistently produces prominent research in the areas of logistics, routing, scheduling, production and supply chain management, inventory control, revenue management, and quality control. New developments are being explored in operations research—in particular, mathematical programming, combinatorial optimization, stochastic modeling, computational and mathematical finance, queuing theory, reliability, simulation, and both deterministic and stochastic network flows. 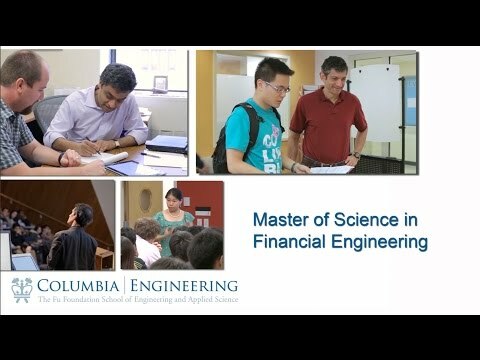 In finance, research is conducted in portfolio management, option pricing including exotic and real options, computational finance like Monte Carlo simulation and numerical methods, and data mining and risk management. Projects are sponsored and supported by leading private firms and government agencies. Learn more about our centers. The Applied Probability and Risk Seminar is a joint seminar between IEOR, the Statistics Department, and the Center for Applied Probability (CAP). The IEOR-DRO Seminar is a joint offering from IEOR and the Decision, Risk and Operations Division of the Columbia Business School. It features prominent research on decision-making through optimization, modeling and managing uncertainty, and all aspects of the operations function in firms. The Financial Engineering Practitioners Seminar exhibits research and practice in financial engineering and related fields. The seminars meet on Monday evenings from 6:00–7:30 p.m. and are followed by a reception and refreshments. We welcome attendees from industry and academia. Learn more about our Seminars.